Bavarski – A new breed of Polkas! 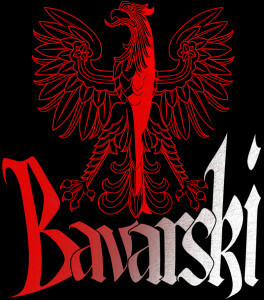 B avarski Featuring Eddie Biegaj, Ron Oswanski, & Chuck Pendrak scheduled to play Baltimore Polish Festival July 20th. Bavarski, a polka band with the ability to venture into many different styles of polka music is scheduled to perform at the Baltimore Polish Festival July 20th, between 12 – 6pm. The Baltimore Polish Festival will allow the group to stretch out and focus on the Polish repertoire. The band features Mr. Eddie Biegaj on vocals who has just been inducted into the IPA (International Polka Association) Hall of Fame, Living Category for 2014. Eddie is known for leading his famed group Crusade as well as many hit recordings with the Toledo Polka Motion. On accordion will be Ron Oswanski, a Toledo Ohio native and a Manhattan School of Music graduate, who has lived in the New York metropolitan area for 21 years. Ron has worked as not only an accordionist with the Maria Schneider Orchestra but also on Hammond B3 with many known jazz and rock groups including Maynard Ferguson and Blood Sweat & Tears. Featured on clarinet and saxophone will be Chuck Pendrak who needs no introduction in the polka field. Chuck is an award winning multi-instrumentalist and a legend in the genre.